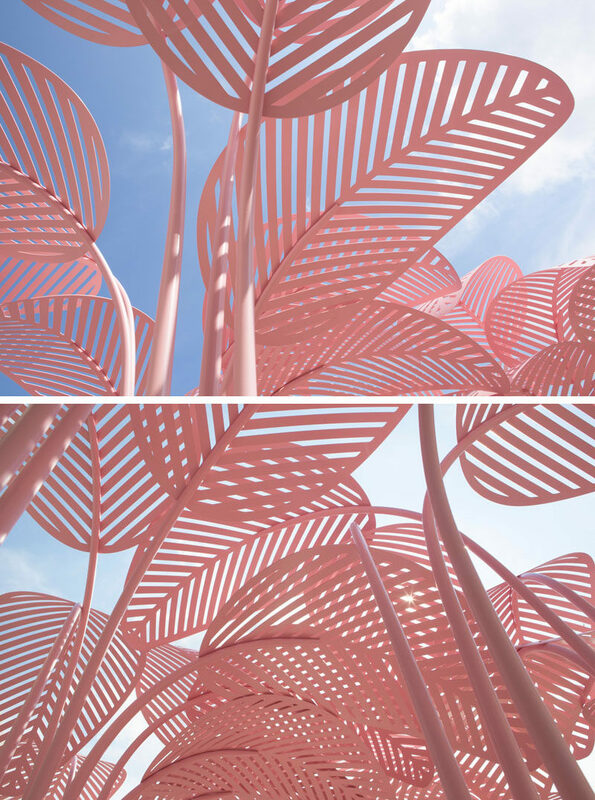 Designer Marc Ange has recently launched ‘Le Refuge’, an outdoor sun lounger, for The Invisible Collection in collaboration with The Green Gallery. 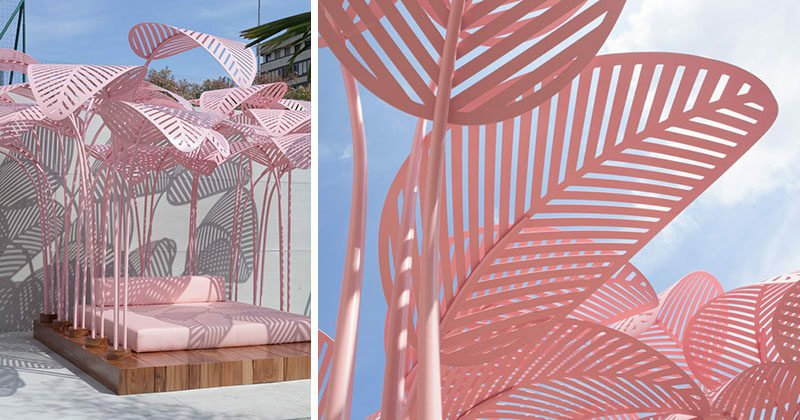 Unveiled in Milan last week during Salone Del Mobile, ‘Le Refuge’ is a place to relax and lounge in the sun, while being partially shaded by the large palm leaves. 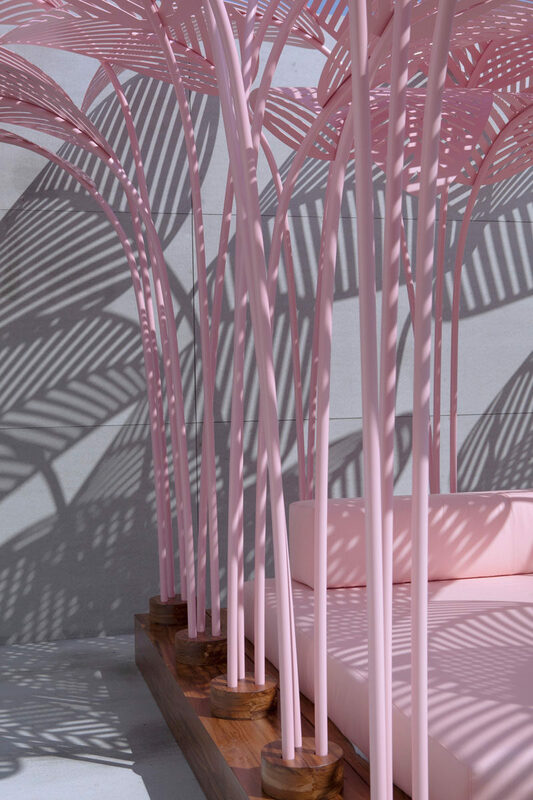 The day bed has a wooden base with built-in pots for the palm fronds, which are made from colorful, painted perforated metal.